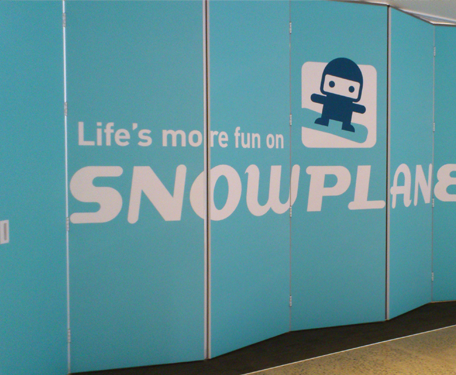 Fabric panels and partitions that can be used to create innovative office and retail spaces. 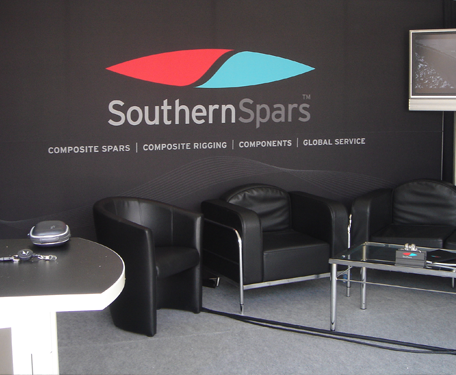 We use aluminium framing to create semi-permanent and/or permanent fabric panels and partitions. These are the perfect way to create additional focal points or areas within large spaces, but without the expense of gib and plaster. Acoustic Fabric Panels have long been an issue for architects and owners alike. How do you get an industrial noise control product into a location and have it looking attractive? Colourbox has designed a unique method of doing just that. 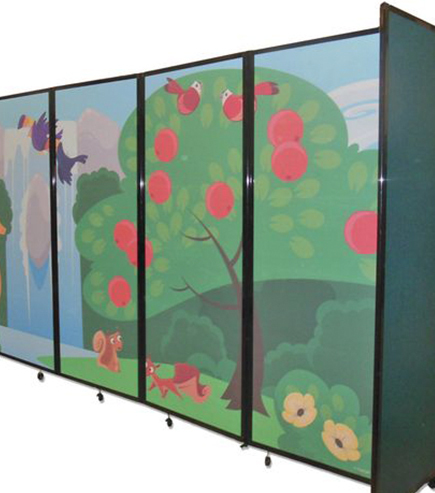 They have combined their attractive Finesse Frame solution with a fabric art print into a Noise Control panel. The net result is Acoustic Art. 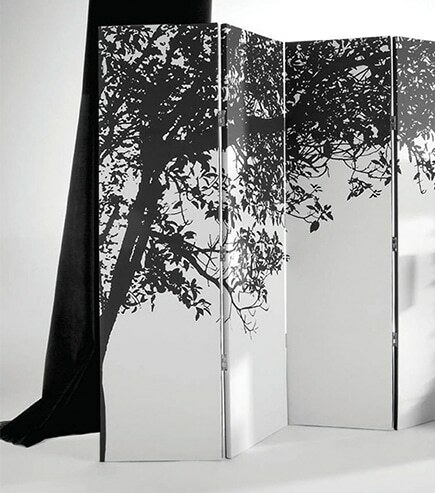 It’s flexible enough to be wall hung, or made as a moveable partition or be suspended from the ceiling. Create sound proofed rooms that are semi permanent or permanent art installations with duel functionality. 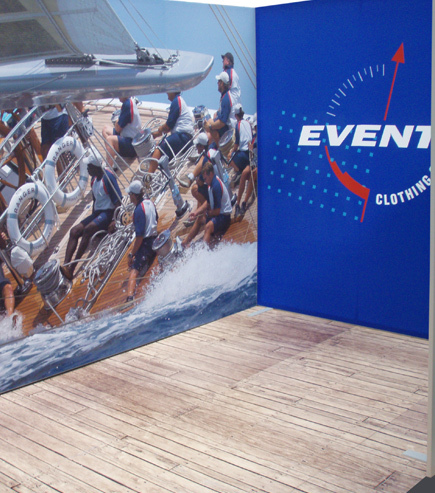 Events Clothing are a premium clothing brand that supply uniforms and corporate wear to businesses and the yacht industry. Events Clothing were creating a new head office in Morningside, using an open plan space. They realised that it needed some sound proofing, but wanted to integrate this into some large ‘art pieces’ that focused attention on their core market – superyachts. 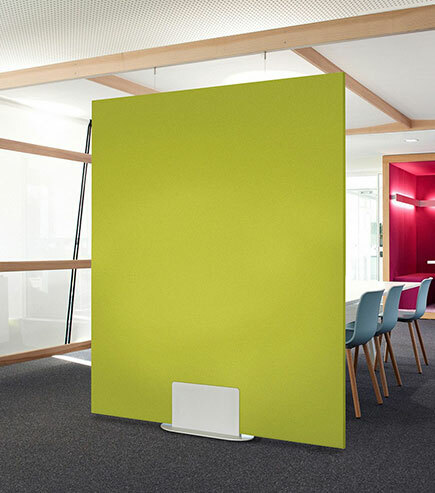 Using a Free standing Finesse Frame wall, but adding wheels to the bottom of each panel we were able to create a highly mobile wall, hidden in which were Autex Quiet Space panels. This enabled them to utilise the panels more effectively, moving them where they were needed. They also soaked up the sounds of the open plan environment, creating a much better workspace. 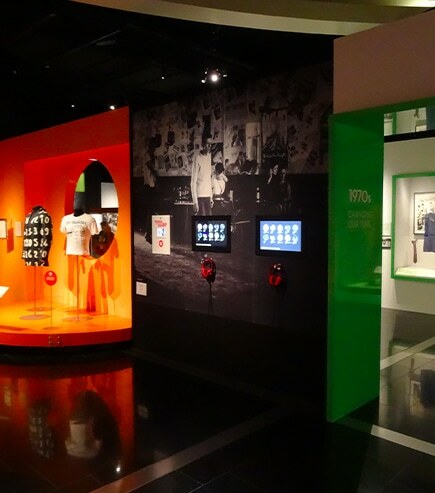 Auckland Museum approached us recently requiring some graphics panels to support their new VOLUME: Making Music in Aotearoa exhibition. Auckland Museum needed a practical, cost effective solution to putting on a music exhibition within the Museum which is normally quite a quiet environment. The images they wanted printing were quite old pictures and so reproduction needed to be done carefully – the images were very grainy, but actually this lended itself to reproducing them on the chosen fabric – a fabric that diffused their appearance anyway and worked well with the images. 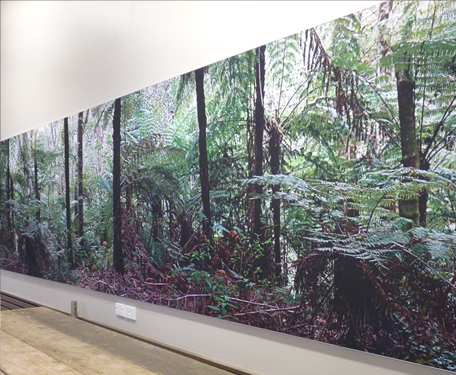 Continuing the theme of the exhibition, and using the artwork they provided, we printed onto Autex Workstation Rigid Acoustic Panels. It created a sound proofed environment within the Museum allowing people to enjoy the exhibition, but without the exhibition detracting from the rest of the features of the museum, normally quite a quiet space.